We all remember the game as kids. When the music stops everyone grabs a seat except for one odd man out. Similarly there seems to never be enough manufacturer seats with the current depth of talent available in the WRC. So here’s a quick look at the drivers that snagged a seat and who was left standing. As we all know, the Volkswagen World Rally Team has their drivers firmly bolted to their carbon fiber seats for at least one more year. There is no real need for change when you hold the crown for both the drivers and manufacturers championships. It’s almost scary to imagine Sebastien Ogier improving on his incredible pace from 2013 and indeed he will but not without a bit more competition. Jari-Mati Latvala and Andreas Mikkelson will continue to get faster as they get more miles in their respective VW Polor R WRCs, but Ogier will likely be the one to finish regularly ahead of the pack. Specifically keep an eye on Mikkelson who showed moments where he was blindingly quick at Rally GB and racked up a couple of stage wins. With team VW spoken for, the first to announce an available seat was Citroen. Kris Meeke and Co-Driver Paul Nagle were the first to sit down at the French outfit. Kris showed his competitive speed when given the chance to drive in Finland and Australia, but also his potential for violent accidents when he pushed too hard. Regardless of the wrecks, there are a whole lot of Brits that are super excited to have at least one compatriot in the top level of the WRC again. 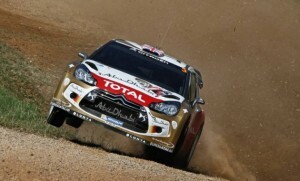 Meeke will be joined at Citroen with former Qatar M-Sport driver Mads Ostberg. The young Norwegian was extremely consistent and quick as a privateer in 2012 which earned him the lead driver position at QMWRT coming into 2013. Unfortunately for Mads and his Co-Driver Jonas Andersson, their 2013 season produced neither the desired speed or consistency they had the year before. It will be interesting to see whether switching to Citroen and their DS3 WRC will be an improvement for Mads or not. For 2014 Hyundai joined the party and added a couple more chairs to the game and announced their driver line-up as well as their striking new livery with a huge press conference on Tuesday. Thierry Neuville & Co-Driver Nicolas Gasol, the shining stars of the 2013 Qatar M-Sport squad, were already known to get the gold guilded chairs as the lead driver and co-driver for the brand new manufacturer. Thierry has the speed and desire to be a world champion, but it will take some patience to develop the new platform into a championship contender. The other seat available at Hyundai is apparently a folding chair as three different driver/co-driver partnerships will be vying for a more permanent opportunity with Hyundai in the years to come. First to get a folding chair is former IRC Champion and Skoda driver Juho Haaninen & Co-Driver Tomi Tuominen. 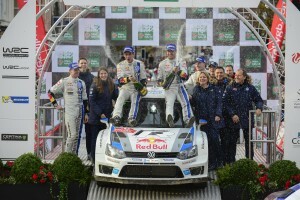 So far the Finnish duo is confirmed for Rally Sweden only though. Since Juho has done the most kilometers of testing with Hyundai so far, it is likely he will appear on other European events such as his home round in Finland. 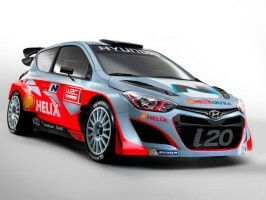 Next on Hyundai’s list is former Citroen driver Dani Sordo who is teaming up with former co-driver Marc Marti. Dani is a logical pick for Hyundai having his first WRC win earlier this year in Germany, and he also has team development experience from the Mini program before ProDrive lost funding. Dani, who is well known as a “tarmac specialist” is said to be driving Hyundai’s tarmac events including the upcoming Monte Carlo Rally in January. Finally we add to Hyundai’s mix Australia’s Chris Atkinson and Co-driver Stephane Prevot. Chris (aka Atko) hasn’t been in a factory seat since Subaru dropped out of the WRC in 2008 and had only periodic outings with a privateer Mini and a Monster World Rally Team Ford Fiesta. Neither produced spectacular results, however Atko has a lot of great experience behind him including winning the Asia Pacific Rally Championship last year. Last but certainly not least is M-Sport. Malcolm Wilson’s squad of Ford Fiesta RS WRC cars have proven their strength and competitiveness, even if they have missed out on the top manufacturers title. To me, Malcolm has been the number one developer of young talent in the WRC and that continues in 2014. M-Sport just announced their lineup today which includes both youth and experience. Returning home to M-Sport as the Finns have said are Mikko Hirvonen and his co-driver Jarmo Lehtinen. Mikko just didn’t seem like the same driver when he was at Citroen the past two seasons, and the lack of results coincided with that. I’m not sure if it was the team dynamics or the car, but Mikko and Malcolm are happy to be together again in 2014. Second on the squad is the young talent. Welshman Elfyn Evans and co-driver Dan Barritt are getting a dream chance at a full works drive. It isn’t that they haven’t earned it with a dominant championship win in the WRC Academy last year, great performances in WRC2 events this year, and even a one-off last minute drive of Nasser Al-Attiyah’s WRC car in Sardinia in which Evans finished an impressive 5th overall. 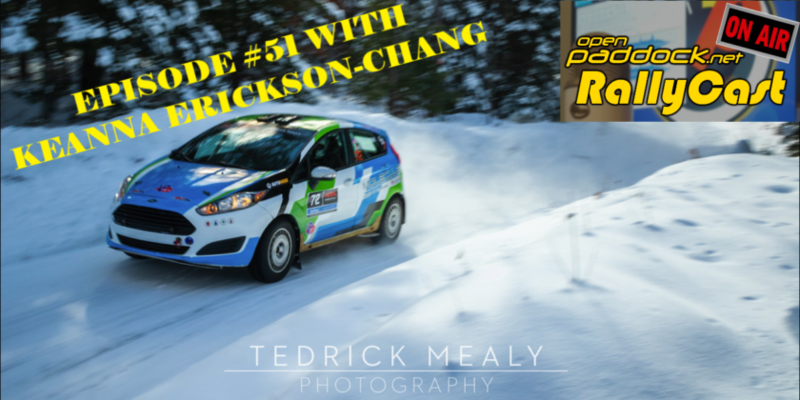 The kid has talent for sure, and it will be interesting to see if this combo of experience and youth at M-Sport can finally give their team and the Fiesta RS WRC the manufacturers crown. M-Sport has a 3rd car as well, that will be run under a different manufacturers name. As has been rumored this will be the Lotos Group funded Fiesta headed by the very popular Pole and former F1 driver Robert Kubica. Even though Kubica came into the sport with minimal gravel driving experience his dedication and desire to be the best quickly put him on pace with his rivals. When you put Kubica on tarmac, there arguably is no better. Kubica dominated the WRC2 class, and with the backing of Lotos Group has every possibility of challenging for podiums and even for all out WRC victories. One thing you will notice is that I did not post a picture of the M-Sport liveries, nor did I mention Qatar. This is because as it stands right now, M-Sport has not announced a major sponsor for their team in 2014. If Nasser and Qatar are indeed gone as has been said, it will be interesting to hear who the replacement major sponsor is if any. So who is the odd man out? Really there are three if you count the young potentials. Russian Evgeny Novikov is one existing odd man for sure. He had a terrible season with the Qatar M-Sport team, and I don’t see him returning to the WRC unless you drives a privately funded car. Kiwi Hayden Paddon had an opportunity to drive a WRC car in for Qatar M-Sport in Spain and finished an impressive 8th in his least favorite surface. He showed amazing performance in Australia at the wheel of an S2000 Skoda Fabia, and is doing all he can to get to the top level. Rumor has it that he could end up driving at least 8 rounds of the WRC in 2014, but no announcement has been on what car or class that would be in. Finally there is youngster Pontus Tideman. Pontus won the Junior WRC Championship this year in dominant fashion, and when given an opportunity for a WRC drive in Sweden was amazingly holding on to 3rd place going into day 2 when his car unfortunately stopped due to a mechanical issue. 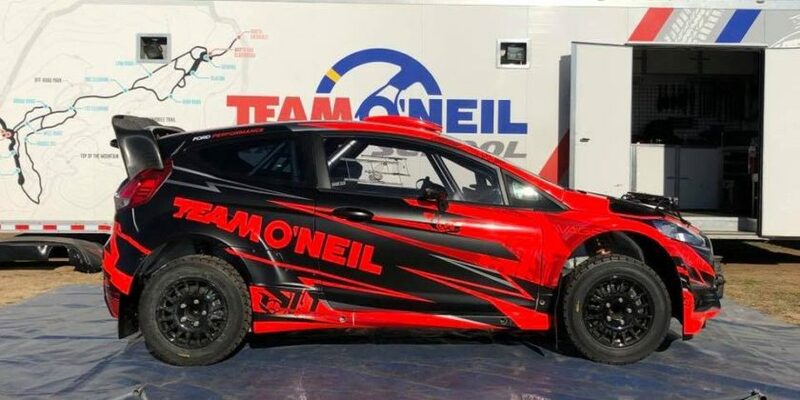 I’d expect Tideman to at the very least compete in WRC2 in one of the new R5 cars. So that’s a wrap for the musical chairs. Will we see a new champion in 2014? That’s hard to say with VW and Ogier being so dominant, however the level of competition is some of the best it has been in years. I can already hear the cheers from British fans even though I’m 6,000 miles away. They couldn’t be happier with having not one but two British drivers at the top level of the WRC and I can’t blame them. It has been a long time since the likes of Richard Burns and Colin McRae battled through the forest roads. There is no doubt that 2014 will be an epic year for the World Rally Championship.